Covercrop 101 - Walt's Organic Fertilizer Co.
Buckwheat April – early Aug 40-55 days after sowing Produces a lot of organic matter and smothers weeds. Provides food for beneficial insects. 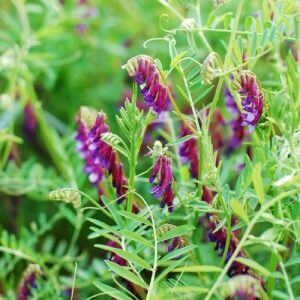 Hairy Vetch Sep – Early Nov Mar – Apr Nitrogen fixing, good biomass, feeds beneficial insects. Best if mixed with a cereal (rye or oats).